It’s been over 8 months since we moved into our new home and I’m still decorating. I hear that’s normal, which makes me feel somewhat better, but I’m also frustrated at the process. Give me a closet of clothes and I can whip together a week of stylish outfits with no problem. Give me a room to decorate and I just might get the shakes. I love decorating a home. I just need direction. This is where the team at Havertys comes in. 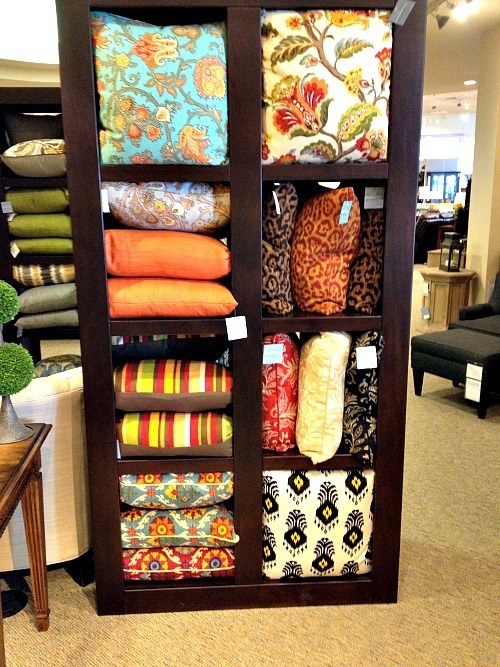 When it comes down to it, decorating is a lot like fashion. 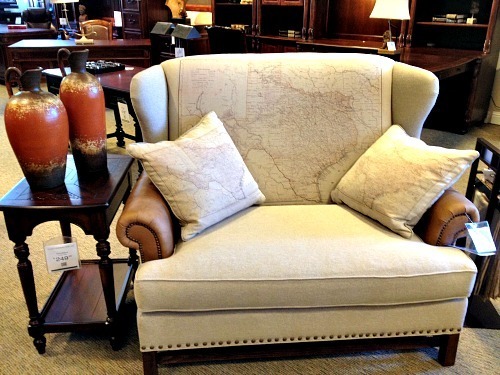 You start with the foundational pieces and add on the accessories. Oh how I love accessories. 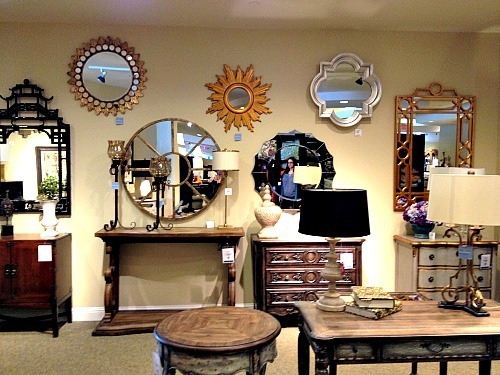 Just look at these gorgeous mirrors on display at Havertys. 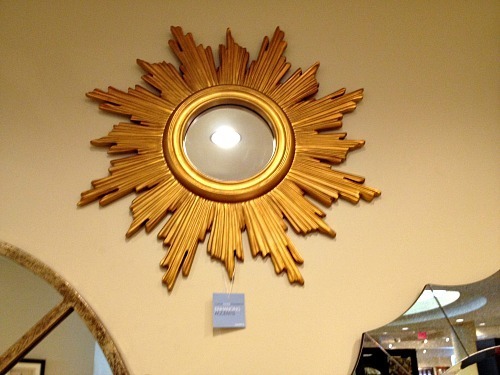 I want the sunburst one for above our bed in the master bedroom. 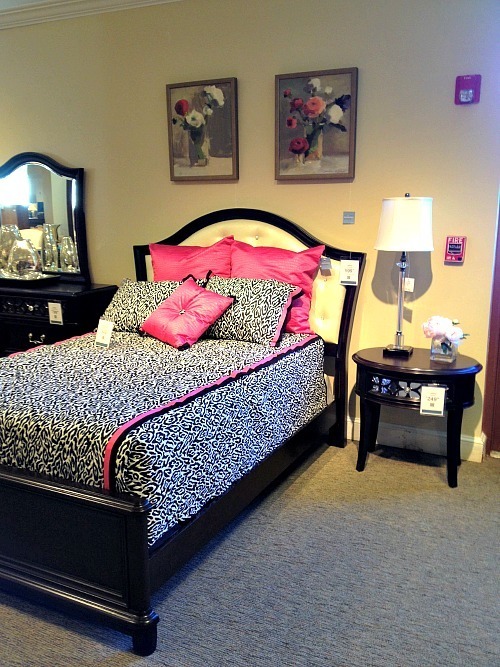 Again, we have a fantastic bed, but are absolutely lacking in the accessory department. Meaning, zero personality. 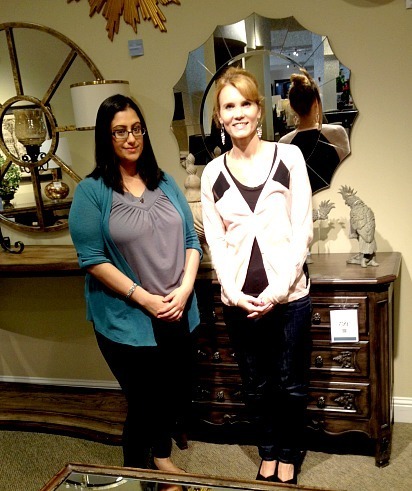 I had so much fun walking around with Sarah, who is our local Havertys In Home Design Consultant. 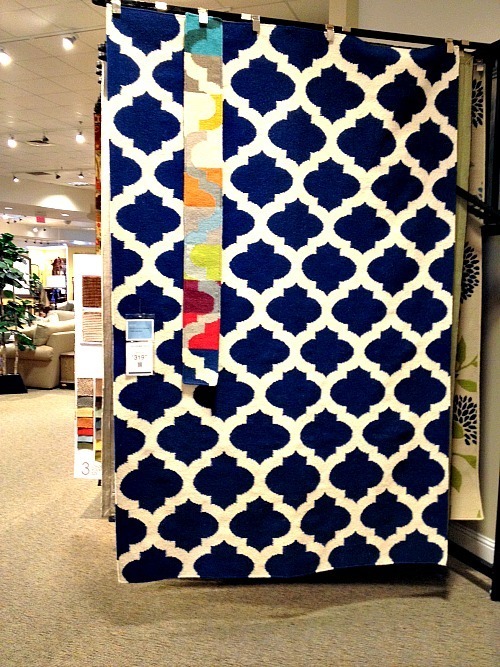 Her job is to come into your home and work with you to design a room. That is exactly what I need. 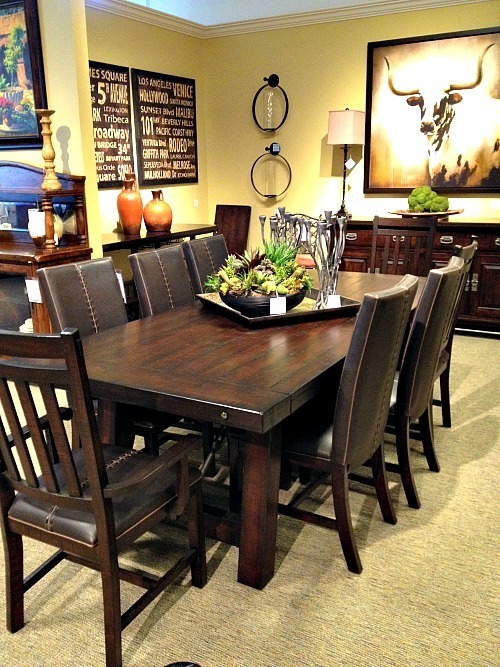 From measuring for furniture and making sure it’s placed in just the right space, to helping you choose accents. 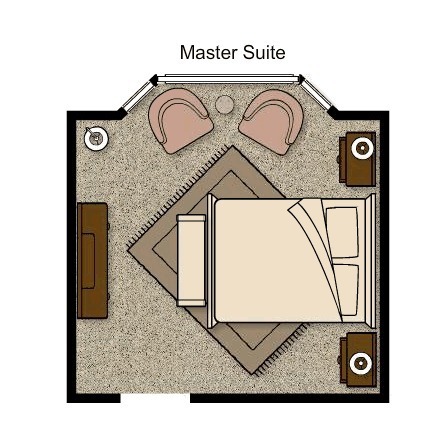 Here’s an example of a Master Suite design Sarah put together for a client who brought in floor plans. I love the idea of handing her a blank slate and letting her put it all together. I also had a very nice visit with the manager Tim, who answered a few of my questions and kindly posed for a photo with me. 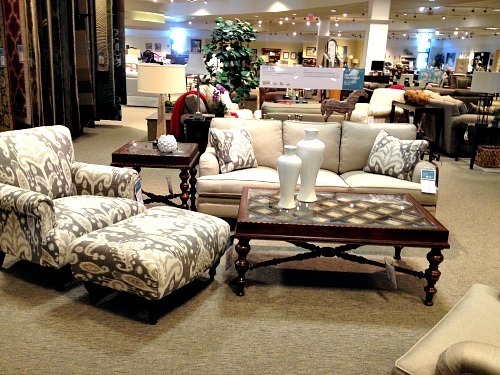 Would you like to see some of the gorgeous furniture, groupings and accessories I saw during my visit? 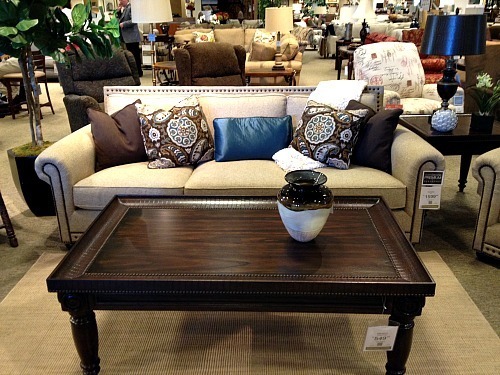 Sarah showed me a little bit of everything from pillows, rugs, bed sets, vases and of course – furniture. 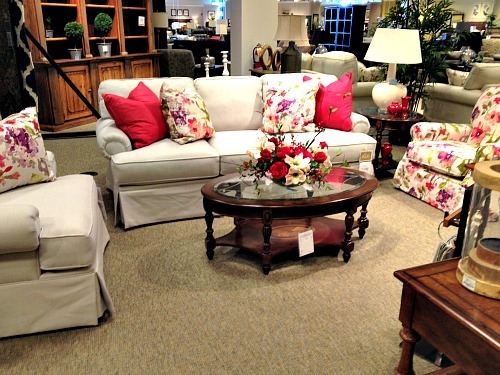 You don’t need to spend a fortune redoing an entire room to refresh your space. 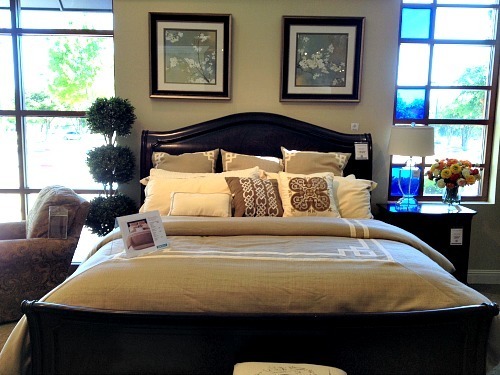 She showed me how a new bedding set or a brightly colored rug can add exactly what your room needs. After you look through these pictures, I’ll show you what I purchased and tell you about their workshops that I am definitely going to start attending. Did you find something you liked? I found about 20 things I wanted to walk away with. When we moved into our new home, I just about started from scratch when it came to the decor and downstairs furniture. I had been living with the same colors for as long as I can remember. I wanted something bright and cheery. So I went with yellow, blues and grays. I still love it so much. It makes me happy when I walk into my home or walk down stairs every morning for that ever so important cup of Joe. What did I end up purchasing during my Havertys visit? 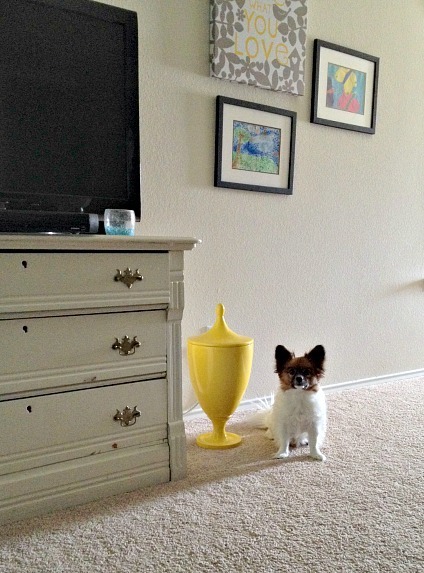 A bright, big yellow urn. Because…why not? The dog likes it I think. I’m still not quite sure where it will go, but it’s staying put here for now. 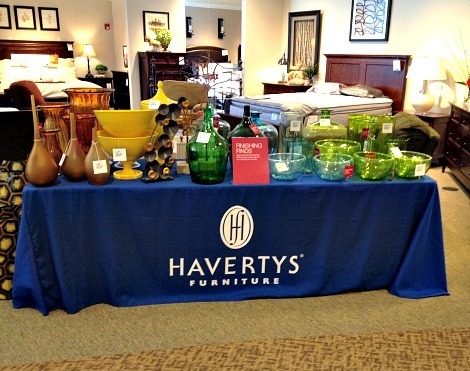 One thing I have to tell you about are the Havertys Home Fashion Workshops. Their latest one was called Staycation and it was all about turning your home into a spa like experience. Yes please! When you attend, you receive a goody bag and very valuable information. The next one is coming up on June 14th and it’s titled Decorating ABCs. 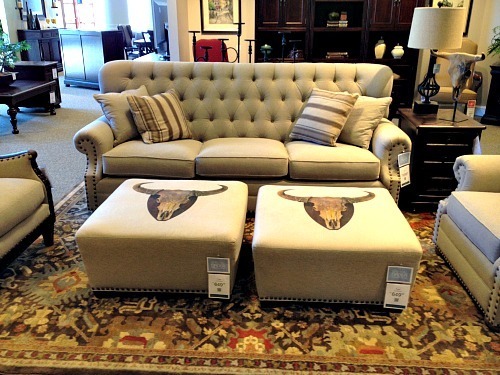 You’ll learn 5 concepts to transform any room. The one where I live serves a light breakfast, which I think is so nice and the first 20 attendees will receive a fabulous fashion accessory. These workshops sound fun and full of great information for those of you who treasure your home as much as I do and really want it to be a place you, your family and your friends love to be. So grab your mom and girlfriends and attend the next one! 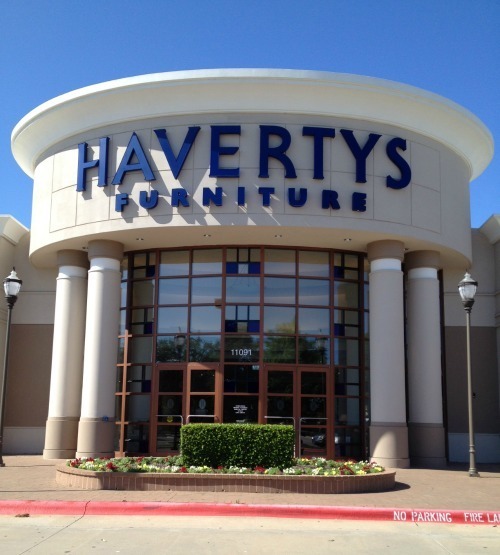 To find a Havertys near you, visit their website’s store locator. To keep up with their company happenings, you can find them on Facebook and Twitter. 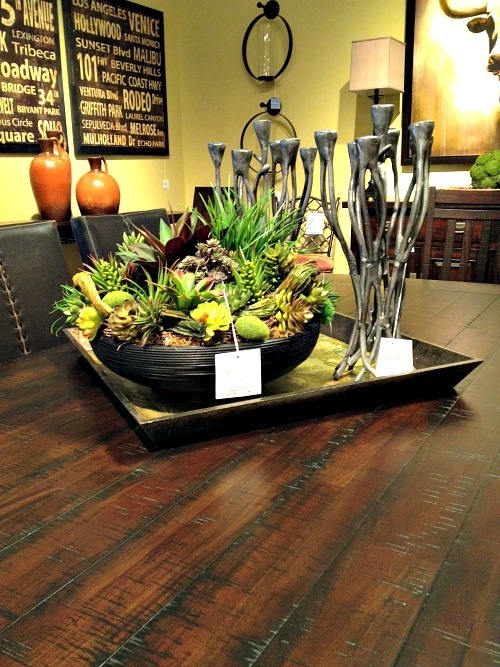 For design inspiration, visit their blog and check out their pins on Pinterest. Thank you so much to the team at Havertys for making me feel welcomed and for taking the time to show me around the store.